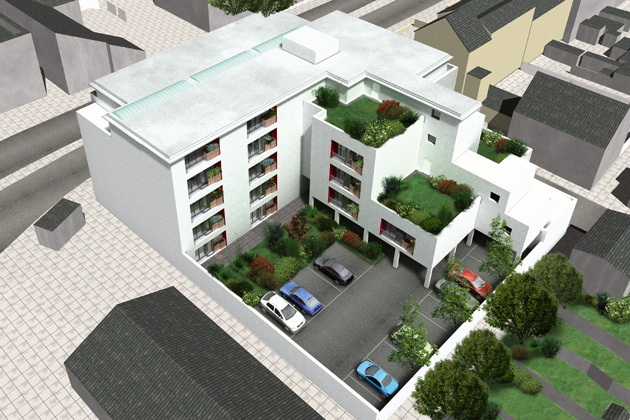 Tuke Manton was commissioned to provide the design and architecture for a new development of flats. This new building was to be constructed on a prominent ‘gateway’ site in Reading, on a major artery which enters the city from the west. It comprised 41 units: 21 one-bedroom, 9 two-bedroom and 1 three-bedroom. There was also on-site car parking. 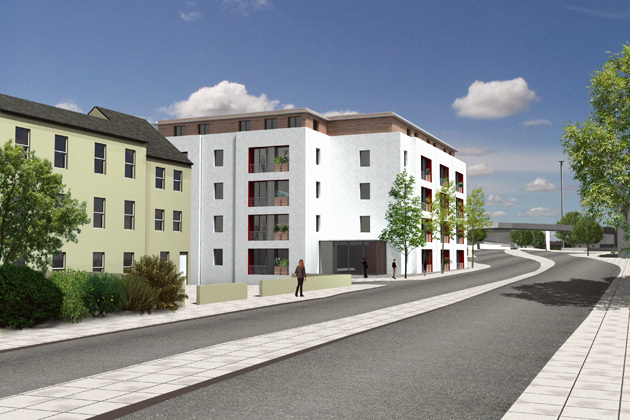 In participating in this development, we have established an alliance with the client for the project, Catalyst Housing Group, and the constructor, Willmott Dixon. Together, we have formed a special partnership team under PPC 2000, set up specifically to carry out the project. Within the team there is considerable experience of non-traditional building processes and it is envisaged that off-site construction techniques will be employed, including the use of factory-assembled bathrooms. Special design measures and features will also be employed to counteract the noise pollution and low air quality normally associated with Chatham Street, thereby ensuring high quality accommodation. 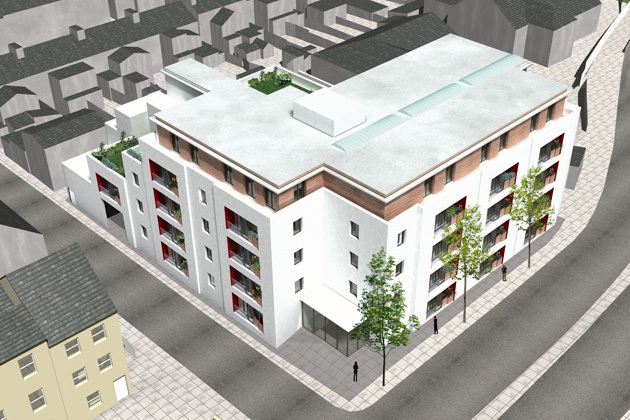 We are currently awaiting confirmation from the client for the scheme to proceed.